AfricanMecca's Best Of Botswana Safari (available in 3 Tiers) sets out to discover Makgadikgadi & Nxai Pans (Desert Ecology), Linyanti Reserve (Savannah & River Ecology) combined with 2 unique ecology within the Okavango Delta experiencing the best of what Botswana's premier wilderness can offer. The first delta ecology you will visit specializes as year round water based concession situated close by game-rich seasonal floodplains and permanent rivers or water channels. 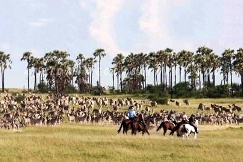 The second specializes as a land based concession concentrating on vehicle game drives spotting big game supplemented with plains game and avi-fauna. Few land based concessions and camps have accessibility to minimal water sources dependent on the water levels, and only offer only a teaser based water activity or none at all if the water levels are very low. Combining a water based concession with a land based concession in the Okavango Delta will maximize flora and fauna experiences with a myriad of choices of safari activities. 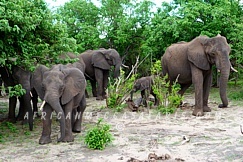 Makgadikgadi & Nxai Pans offer a desert ecology experience, unique to Africa, and one of Botswana’s offbeat and contrasting park when compared to the popular Okavango Delta. Makgadikgadi literally infers as one vast open dead land. 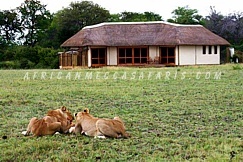 Most of the park is composed of riverine woodland, grassland and scrubland, a unique and harmonizing destination that could be one of the best safaris in Africa that you can experience when compared to mainstream Africa safari experiences. 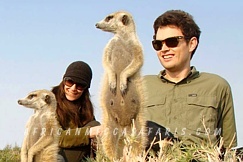 The Makgadikgadi environs is home to a variety of wildlife like genet, caracal, lion, impala, zebra, wildebeest, jackal, bushbuck, cheetah, leopard, brown and spotted hyena, kudu, porcupine, to name but a few. After your Best Of Botswana Safari, we recommend a combination off-beat extension to distinct destinations such as Chobe National Park and Victoria Falls. 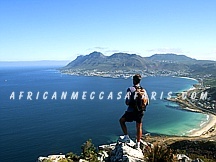 Thereafter, harmoniously conclude with a coastal rest and relaxation in Cape Town with speckled seaside, cultural, winelands and historic experiences. 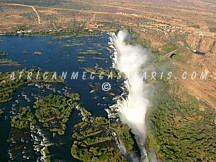 You may customize to include any other destination of your preference in Eastern and Southern Africa. The options are endless!